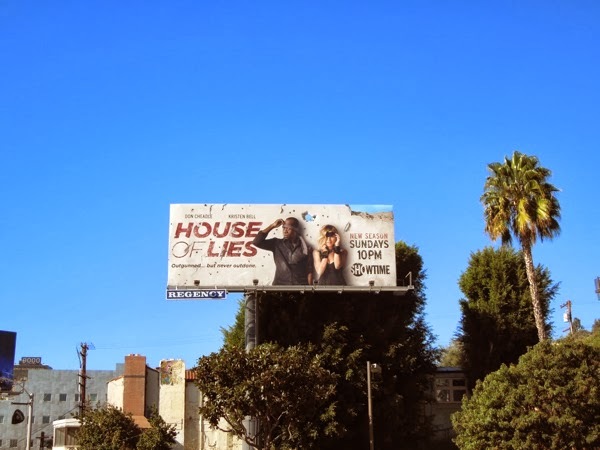 Now here's a returning series whose stars have been on the rise of late. 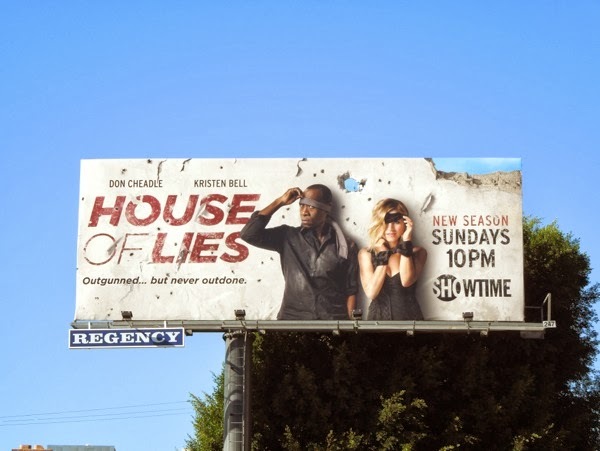 Don Cheadle won a Golden Globe in 2013 and was nominated again in 2014 for his performance in House of Lies as 'Marty Kaan', and starred alongside Robert Downey Jr. in the second highest-grossing film of 2013, Iron Man 3. 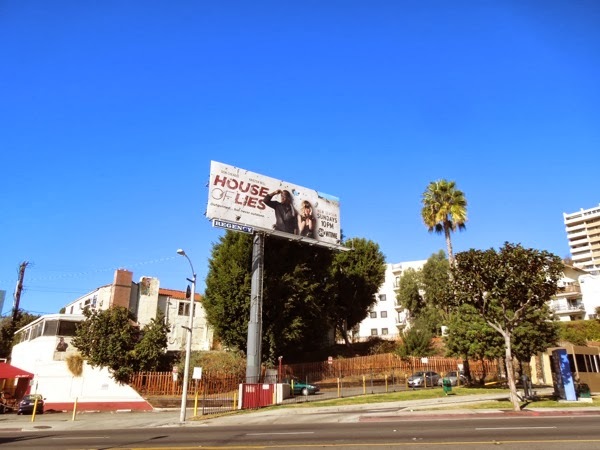 Meanwhile this year Kristen Bell will reprise the lead role in a Veronica Mars movie courtesy of a kickstarter campaign in 2013, whilst she also voiced the heroine 'Anna' in Disney's box office smash Frozen, well on its way to becoming the highest grossing Disney animated film in history. 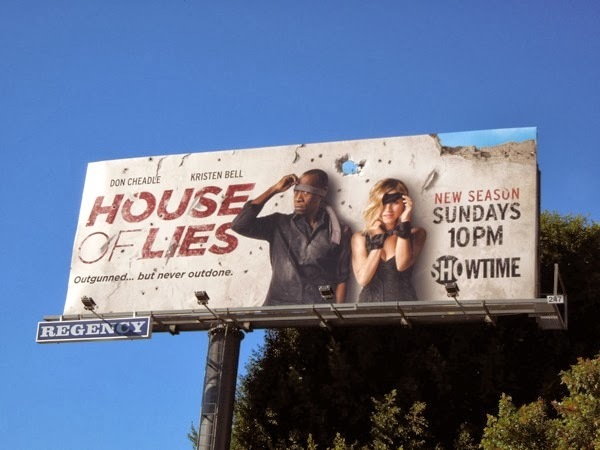 Their characters may be up against the wall and outgunned in this third season ad promo for Showtime's House of Lies, but in reality things have never looked brighter for these two actors. 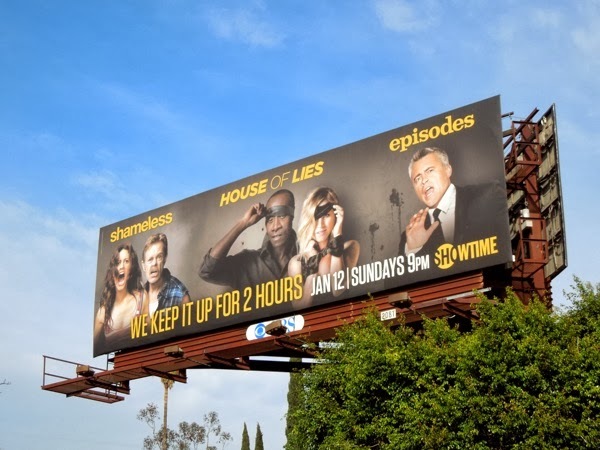 Showtime decided to promote this returning satire of corporate America as part of their combined Sunday night line-up billboard, along with other returning comedy-drama series, Shameless and Episodes. 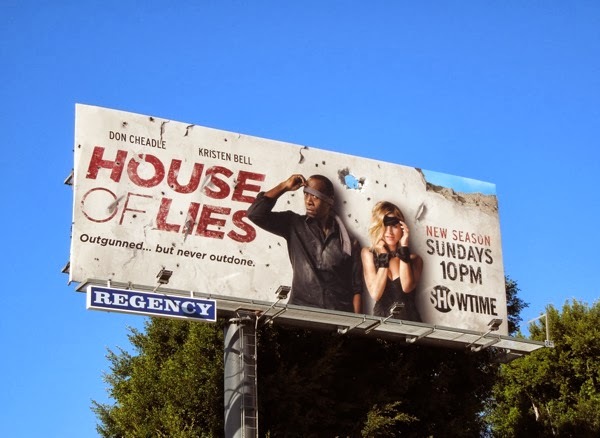 If you're a fan of the show about a team of manipulative business consultants who'll stop at nothing to get the job done, be sure to check out these House of Lies season one billboards and giant season two House of Lies billboard.